Alex Sánchez is a Mexican-American author of award-winning novels for teens and adults that center around coming out and spirituality. He is most noted for his Rainbow Boys series, So Hard to Say, and The God Box. 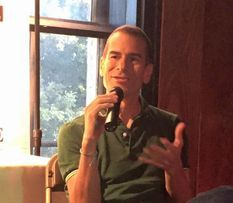 Alex Sanchez met members of our community in September 2015 at Stonewall Warehouse. Thank you to everyone who came! It was affirming and inspirational. 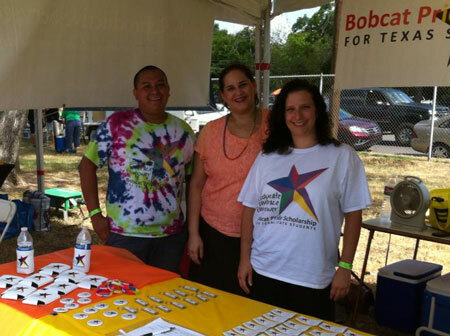 Thank you PFLAG San Marcos and Stonewall Warehouse for co-sponsoring. BPSF was very proud to walk in the first ever San Marcos Pride Parade. 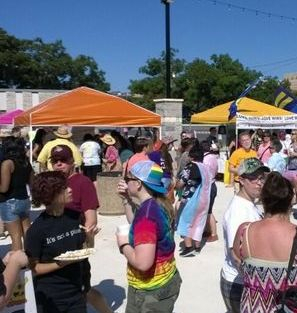 Thank you SMTX Pride for putting this together! 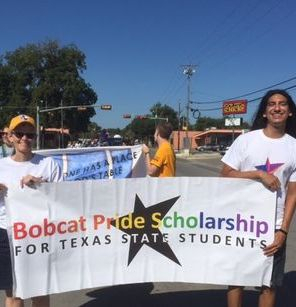 Bobcat Pride Scholarship Fund welcomed incoming LGBTQA students to Texas State at Welcome to the Family hosted by Allies of Texas State through the Office of Diversity and Inclusion. SMUUF invited us back for a 2nd annual donation through their "Pass the Plate" social justice giving. 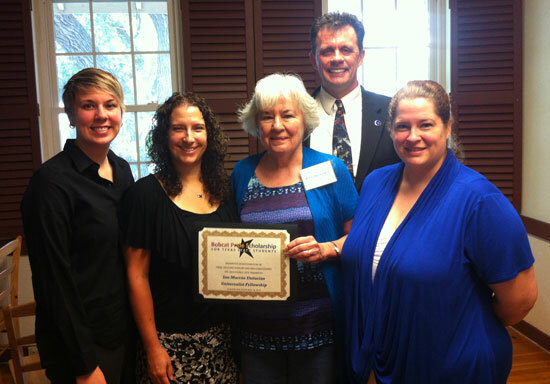 Their generous donation resulted in their entry into the Legacy Circle at the Humanitarian Level. The fellowship members, lead by Rev. Brian Ferguson, approached BPSF as part of their social justice community involvement. They initiated donating the proceeds of one Sunday's church offerings, known as "Pass the Plate" to the scholarship. 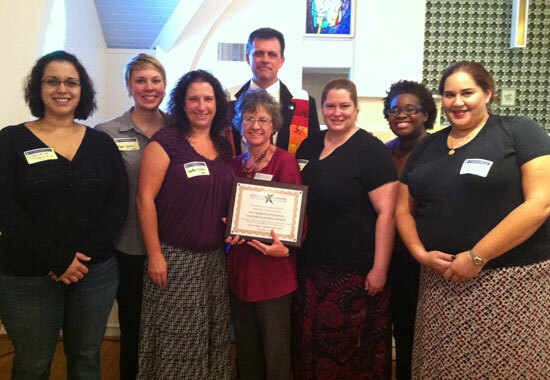 This warm and affirming church community made our executive board feel immediately welcomed. 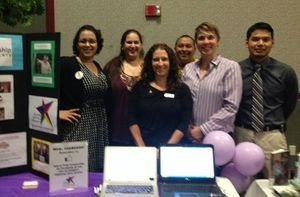 We were so busy welcoming incoming LGBTQ students and catching up with BPSF supporters that we forgot to snap some shots at Welcome to the Family hosted by Allies of Texas State. We'll make sure to have our camera on hand next year! 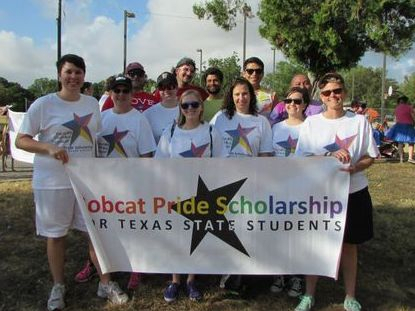 Bobcat Pride Scholarship Fund welcomed incoming LGBTQA students to Texas State at Welcome to the Family hosted by Allies of Texas State.